On Saturday 19th of September, something truly wonderful will happen. 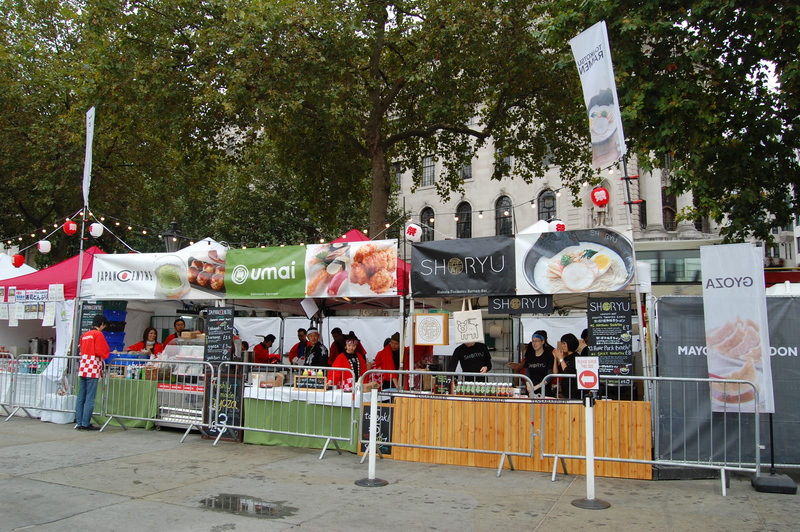 Trafalgar Square will host an enormous celebration of all things Japanese in London, featuring a massive stage showcasing spectacles including taiko drumming and J-pop dancing, not to mention multiple stalls displaying origami, manga and much more. Inside tip – if you listen carefully, you might just hear Japanese used on the tannoy in the Trafalgar Square tube station. For more details of the event, check out the official Japan Matsuri site. Will Japan Centre be there? The team will be handing out handy Shoryu uchiwa fans and vouchers giving you discounts at locations throughout the Japan Centre family. We can’t wait to see you there! Posted in Uncategorized and tagged Japan Matsuri. Bookmark the permalink.